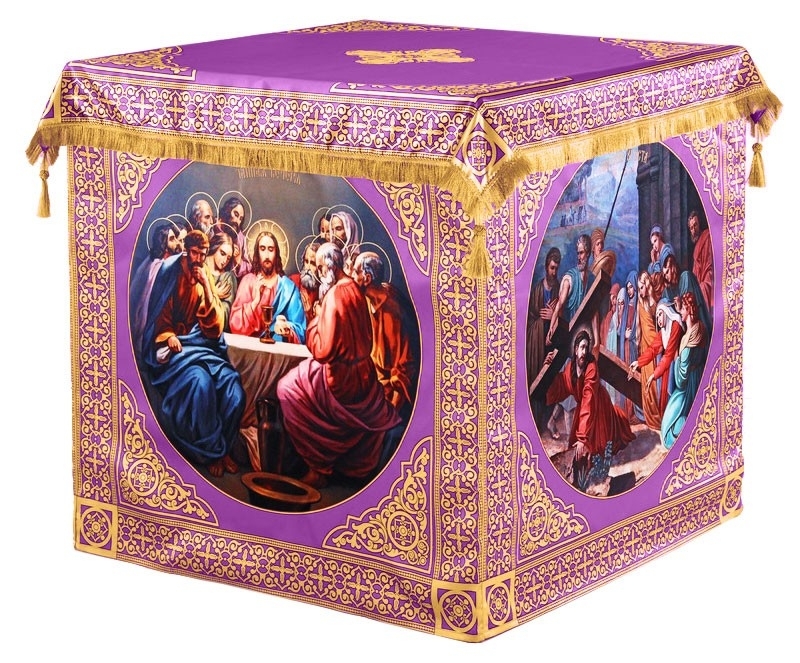 Orthodox Church liturgical Holy table vestments (violet-gold) by Istok Church Supplies Corp.
Purchase of a Holy Table vestment is a must for every Orthodox Christian church. 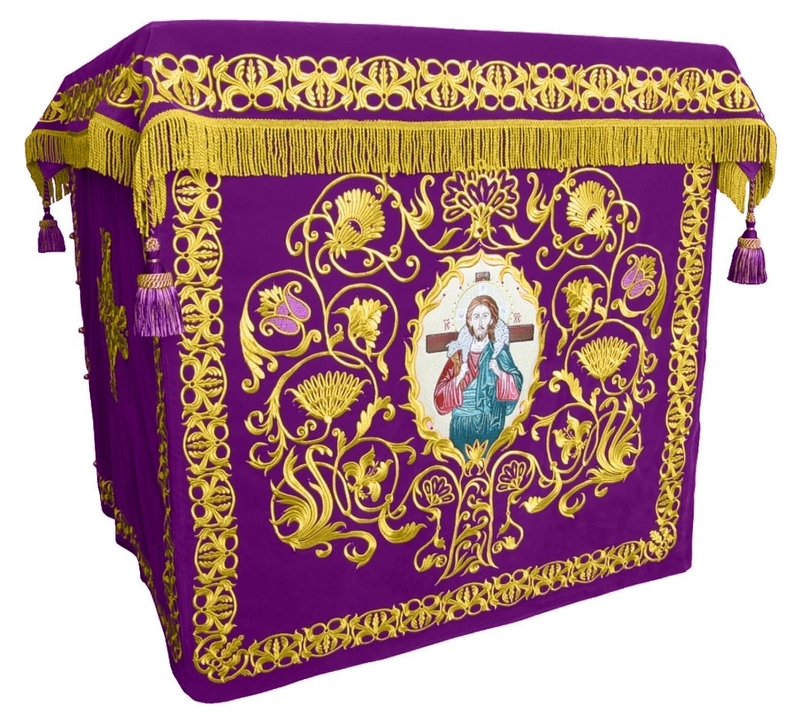 To help churches comply with traditions, Istok Church Supplies offers a fine selection of opulent violet-gold Holy Table vestments in an array of fabrics, designs and affordable price points. 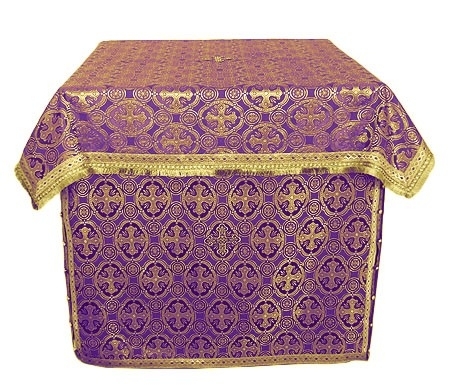 From an intricate, hand-embroidered violet-gold Holy Table vestments featuring XIII century designs on natural German velvet to richly patterned vestments fashioned out of rayon and metallic brocade, we offer an amazing range of options to customers. We realize that the Holy Table and the vestment covering it have deep spiritual significance, hence we go out of our way to ensure the vestment conveys the required aura and symbolism at the Holy Altar. Customers have the choice to purchase an item as it is or select from a wide range of fabric options (in the same class as that of the product). We mention the dimensions for every Holy Table vestment we offer and customers who require different sizing can mention the same in the Notes section during order placement. 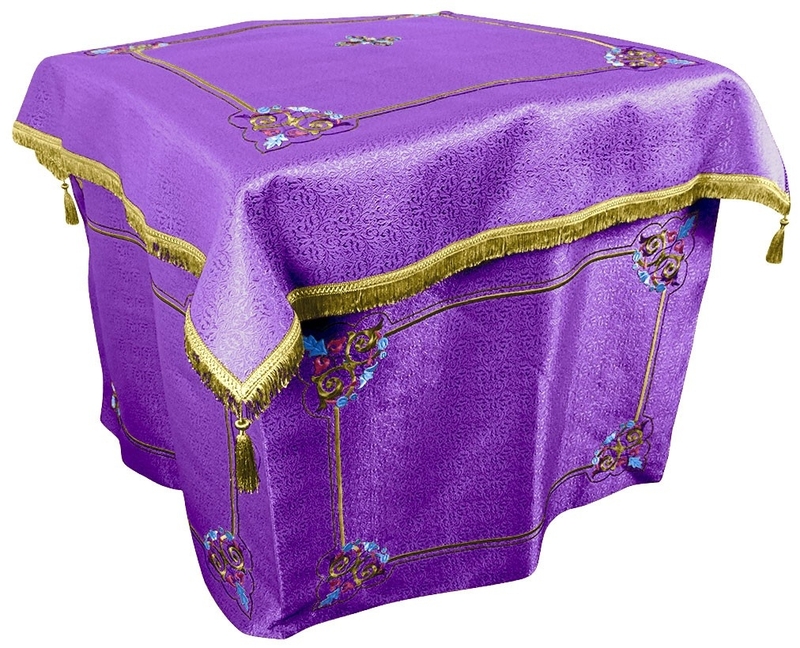 The violet-gold Holy Table vestments we offer are meant to be in the traditional style - covering all sides, reaching to the floor and providing a snug fit to the Holy Table. We specialize in creating embroidered Holy Table vestments and our collection features lovely designs ranging from simple to opulent. We use fine quality threads and decorations to make these products stand out while keeping prices affordable to make them accessible to more church communities worldwide. Our bestsellers can be easily viewed by clicking on the links provided on the left hand side of the page but we strongly suggest going through the entire collection to arrive at the right choice. Violet-gold Holy Table vestments are great choice for certain days of the Great Lent and other occasions, so why not place your order now? I received my order and am very pleased with the quality. Thank you. You have excellent service !!!!!!!!!!!!!!! Thank You so much !!!!!!!!!!!!!!! !